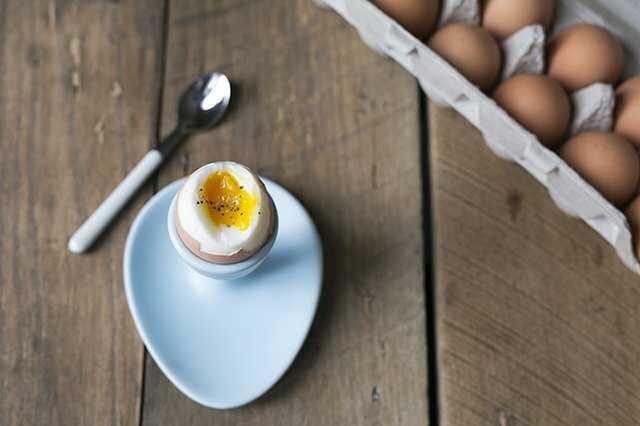 Soft-boiled eggs are a thing of joy for those of us who love a runny yolk, and tender but firm egg whites. There's something so elegant and beautiful about dipping toast points or steamed asparagus into the yolks, or diving straight in with dainty spoons. However, cooking perfect soft-boiled eggs can be tricky. There's a fine line between undercooked whites (an unpleasant eating experience), and overcooked yolks, which completely defeats the purpose. Egg whites must reach 180 degrees F in order to set, while the yolks must stay below 158 degrees F in order to stay runny. As it turns out, the key to getting consistent soft-boiled eggs is all about using steam instead of boiling water. This is a technique I learned about in the January/February 2013 issue of Cook's Illustrated. 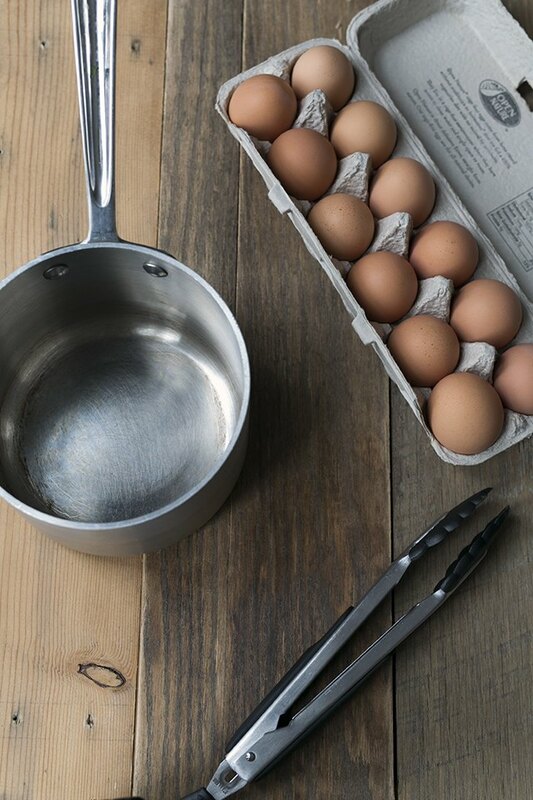 Adding cold eggs to boiling water lowers the temperature of the water, which affects the overall cooking time depending on how many eggs are being soft-boiled. Steam will not lower in temperature, meaning it takes the exact same amount of time regardless of whether you add 1 or 5 eggs to the pot. This technique will work in a medium or large saucepan; choose your size depending on how many eggs you want to cook. The pan needs to be filled with a ½ inch of water. The eggs should be chilled. Any tongs will work, but a rubber grip will be more gentle on the delicate eggshells. Place the saucepan with a ½ inch of water over medium-high heat and bring to a boil. 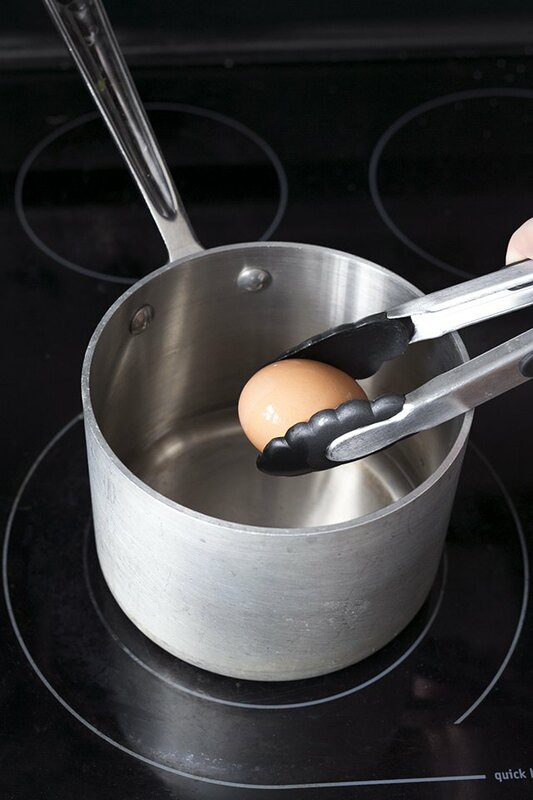 Using tongs, carefully place the eggs on the bottom of the saucepan and cover. With the heat still on medium-high, steam the eggs for 6 ½ minutes, then drain and rinse under cold water for 30 seconds. Unless you plan to peel the egg to serve over something like toast or a salad (which is a wonderful option), you probably want some sort of specialty serving dish. 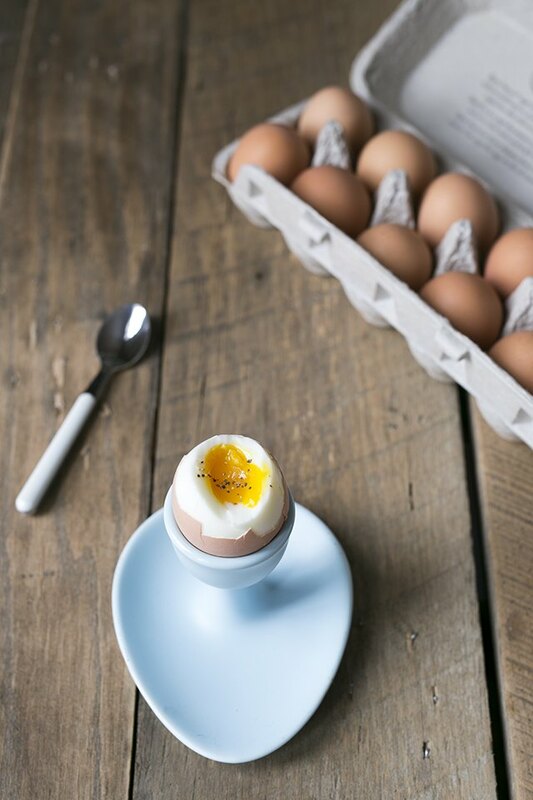 Egg cups can be found in many kitchen stores as well as online retailers. 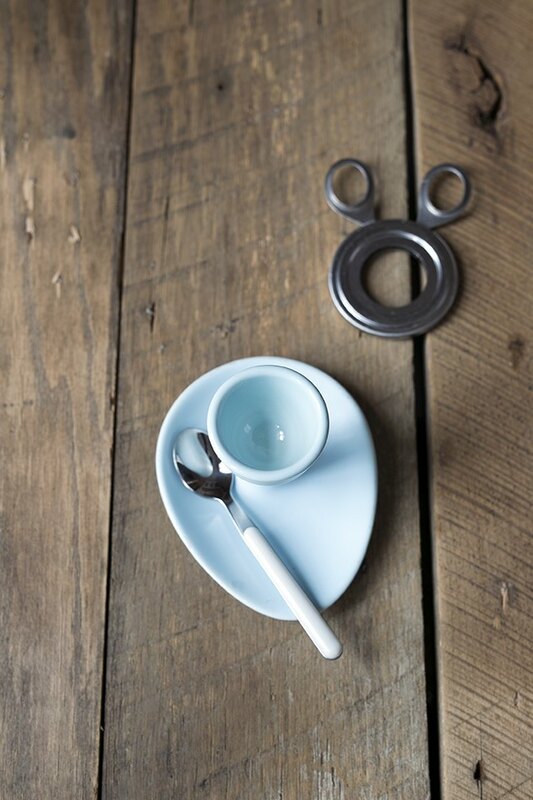 Tiny spoons are also a fun serving option. Egg toppers are an optional tool that can be used to cut off the very top of the shell. Many people simply use the back of a spoon the achieve the same results.